The pad is round and you can glue what jewelry decorations you like, such as gemstone or crystal cabochons as your own unique style. 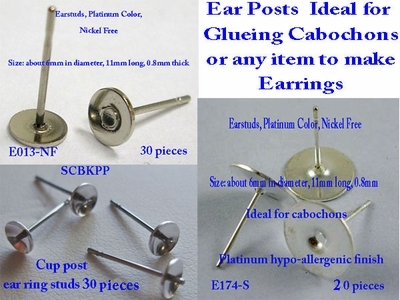 Flat pad ear studs can turn almost any flat-backed item into a pair of beautiful earrings. Use for half drilled round stones or Pearls.